Coming to a foreign country with your family and not having a safe transportation means is troublesome. There is a series of aspects you need to take into account when heading abroad with your spouse and kids. And hiring a premium minivan with a professional driver, who guarantees to drive you along the foreign city roads safe and sound, is the most significant one. Get a quote from 8Rental any time of the day and fill it just now! Hire a van for your family to drive in Brussels safely and comfortably! 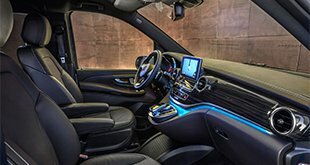 8Rental, being among the leading car suppliers in entire Europe, offers to rent a chauffeured driven minibus in Brussels and benefit greatly! Be sure; all your expectations will not only be satisfied but also exceeded! It is a guarantee that 8Rental gives every customer relying on its services. So, before you book a vehicle with a driver, let's go over the main advantages 8Rental has as compared with other car rental services. All the minibusses included in the vehicle fleet of 8Rental are in excellent condition. They are all equipped with the necessary amenities (central heating, air conditioning, audio system, reading lights, curtains, etc.) for enjoying every km of your route, while the interiors are made to please the eye. However, if you would like to get some external specifications into the van you book, you need to mention it in the quote. Surely extra features are provided for an additional cost, yet our prices will pleasantly surprise you. Order a TV for your kids, as well as a fridge or minibar for you and your spouse while you are driving from one tourist sight of Brussels to another. If you have a relatively small family composed of up to eight passengers, you'd better pick up a Mercedes Viano (standard and business class models available). If you have an extended family and something more spacious, 8Rental suggests booking a Mercedes Sprinter. It is a fascinating model that can drive up to twenty-four people in complete comfort! 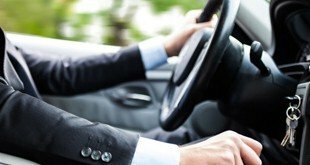 Are you worried about the professionalism of the driver who will be behind the wheel? Believe us; there is no need! All chauffeurs employed by 8Rental are highly professional in all aspects. They are licensed, have at least several years of practice in the sphere of driving minivans, have excellent recommendations, are punctual and responsible. They perfectly know all the roads in Brussels and can take the necessary direction easily. Once you hire a chauffeured minibus in Brussels, you can have the vehicle meet all of you right at the Brussels International Airport or Brussels S. Charleroi Airport to take you directly to your hotel. It's you who chooses the time the booked chauffeur and van will be at your disposal. Hence, if you find it convenient, our driver can wait outside the hotel to take you whenever you need to get! Would you like to get some bonuses? We are sure you will love them! Regardless of the length of your route and the time needed for it, the fuel will be provided for free. 8Rental can also provide you with insurance entirely free of charge! Additionally, we are in charge of all the fees and taxes. 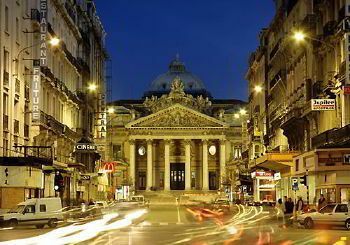 The capital of Belgium Brussels is a fantastic city to explore with your family. This city is vibrant with buildings of great historical and cultural significance, amazing parks, excellent entertainment facilities! 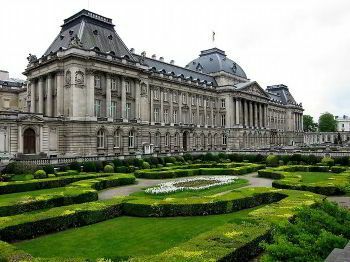 Hence, once you appear in this city with your kids and spouse, don't lose a minute, but start your tour by visiting such places as Musical Instruments Museum, Mini-Europe, Atomium, Royal Palace, Cook & Book, and some other remarkable destinations!